In an action stemming from injuries to a passenger in a 1994 Mazda Protégé allegedly as a result of a defective passive restraint system, a federal district court erred in its instructions to the jury regarding evidence of shoulder belt misuse, the U.S. Court of Appeals for the Ninth Circuit ruled in an unpublished decision. The district court also erred in precluding the passenger from introducing foreseeability-related evidence, but did not abuse its discretion in its jury instructions regarding her burden of proof. Accordingly, the district court’s judgment in favor of Mazda Motor Corp. was affirmed in part, reversed in part, and remanded (Speaks v. Mazda Motor Corp., July 26, 2017, per curiam). The passenger was riding in the right front passenger seat of a 1994 Mazda Protégé DX four-door sedan when it was involved in a collision with another vehicle at an intersection. The Mazda car was equipped with automatic, passive shoulder belts and manual lap belts for the front seat occupants. At the time of the accident, the automatic, passive shoulder belt was in its designed position and the passenger was wearing the manual lap belt. She alleged that the car’s restraint system failed to properly restrain her and caused her serious and life-threatening internal injuries. Her complaint asserted a strict liability design defect claim, as well as a claim for punitive damages, against Mazda. The jury determined that the car in which the passenger was riding was not "in a defective condition because of its design," and the district court entered judgment in favor of the auto maker [see Products Liability Law Daily’s October 14, 2015 analysis]. Shoulder belt misuse. On appeal, the passenger argued that the district court erred by refusing to instruct the jury that the foreseeable routing of the shoulder belt under the arm did not constitute misuse or negligence. According to the Ninth Circuit, the district court abused its discretion by instructing the jury that it could only consider evidence of shoulder belt misuse to determine the cause of the passenger’s injuries without also explaining that foreseeable misuse is not a defense to a strict products liability claim under Montana law. Prior to trial, the district court had dismissed Mazda’s misuse affirmative defense because the passenger’s alleged "misuse" of the restraint system (i.e., placing the shoulder belt under her arm) was foreseeable to Mazda and the automaker actually had foreseen it [see Products Liability Law Daily’s August 11, 2015 analysis]. However, the district court subsequently declined to instruct the jury in accordance with that ruling because of the "risk of saying too much, drawing too much focus to the concepts of negligence or misuse." In the Ninth Circuit’s view, that decision was in error. Although the misuse defense was dismissed, the district court allowed Mazda to introduce considerable evidence at trial that the passenger must have misused the restrain system by routing the shoulder belt under her arm. This, in turn, allowed Mazda to imply that misuse, rather than the design of the restraint system, caused the passenger’s injuries. Without a clarifying and legally correct instruction similar to the one asked for by the passenger, the jury would not have known that foreseeable misuse is not a defense under Montana law, and they could have equated under-the-arm seatbelt routing with unreasonable misuse. Thus, the district court prejudicially erred. Foreseeability-related evidence. The district court also abused its discretion by precluding the passenger from introducing foreseeability-related evidence and by refusing to provide an instruction akin to one she had proposed: i.e., that "[s]ellers must expect that their products will not always be used in precisely the same manner for which they were designed or constructed. 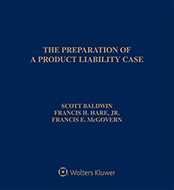 Under Montana law, if a seller expects or reasonably foresees that its product is or will be subject to use in a certain fashion the product’s design must design out or guard against defects associated with such use." The district court’s determination that foreseeability evidence may only be presented in negligence cases or in strict liability cases involving the misuse affirmative defense was not supported by Montana law. Although the district court permitted Mazda to introduce considerable evidence that the passenger routed the shoulder belt under her arm—thereby allowing misuse to remain the focus of its defense—the district court precluded the passenger from rebutting Mazda’s evidence with evidence or arguments about foreseeability, despite its previous conclusion that her alleged misuse of the restraint system was foreseeable to Mazda and that Mazda actually had foreseen it. In addition, the passenger’s proposed jury instruction was supported by Montana law. According to the appellate panel, without an instruction explaining foreseeable misuse, the jury was left without instructions that fairly and adequately covered the issues presented. "Mere fact of the accident" instruction. Contrary to the passenger’s final argument, however, the district court did not abuse its discretion by instructing the jury that "[s]trict liability is not absolute liability and a plaintiff will not sustain her burden of proof by merely establishing the fact that the accident discussed during the trial occurred." Under relevant case law, the plaintiff bears the burden of showing a traceable defect, causation, and damage or injury. The case is No. 15-35888. Attorneys: Dennis Patrick Conner (Conner & Marr, PLLP) for Incarnacion L. Speaks. Ronald A. Bender (Worden Thane, PC) for Mazda Motor Corp.